Do you have a mischievous spirit? 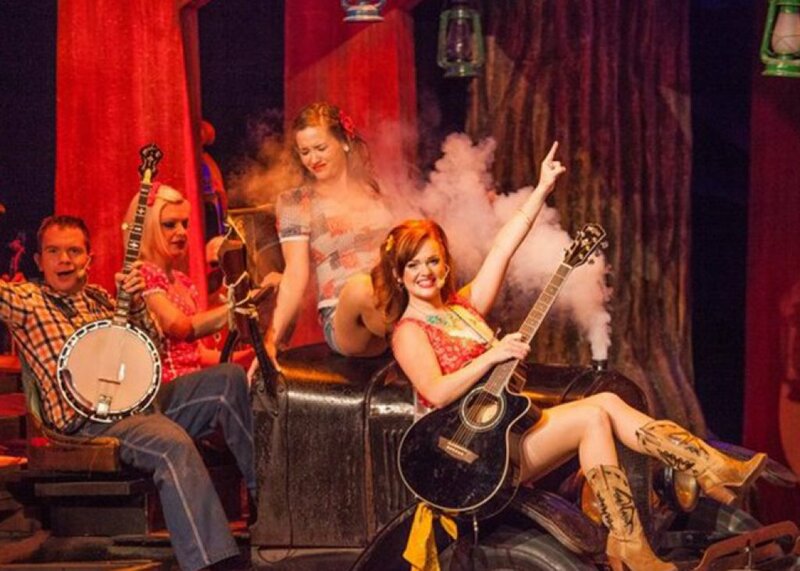 Do you enjoy a little good-natured misbehaving? 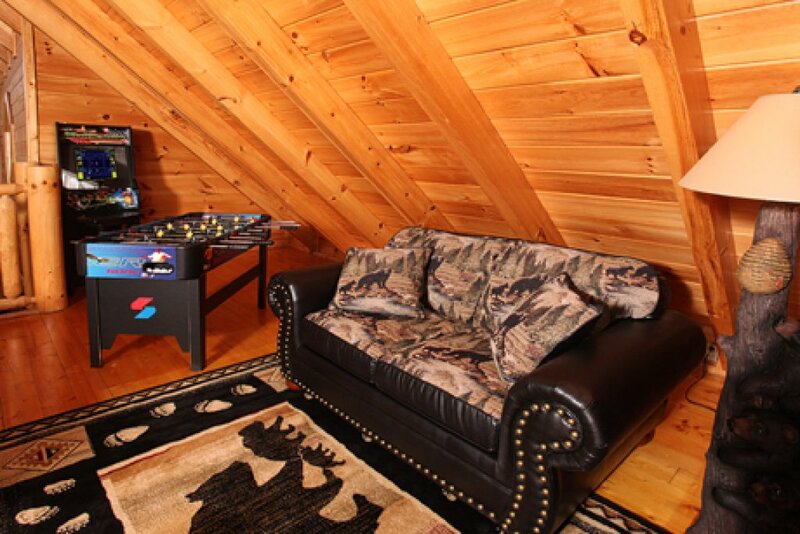 Then “Moose-Behaving” is the ideal vacation spot for you and your entire family, even the family dog is welcome. 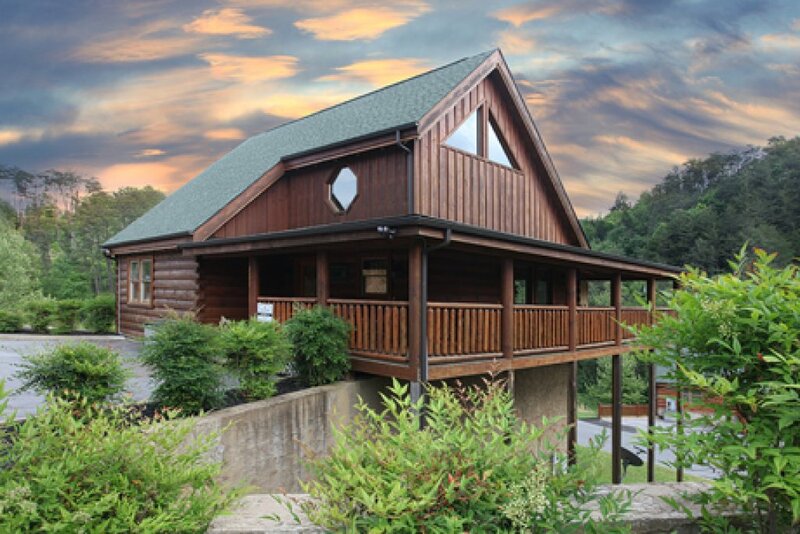 With luxury accommodations for up to eight people, this spectacular Pigeon Forge cabin in the Great Smoky Mountains will provide endless comfort and fun for the entire group! The cathedral ceiling in “Moose-Behaving” provides an open and airy feel with a beautiful stone fireplace in the great room and hardwood floors throughout to accent the space. Curl up in front of the 42? plasma HDT, slip a movie into the VCR or DVD player, and just kick back. 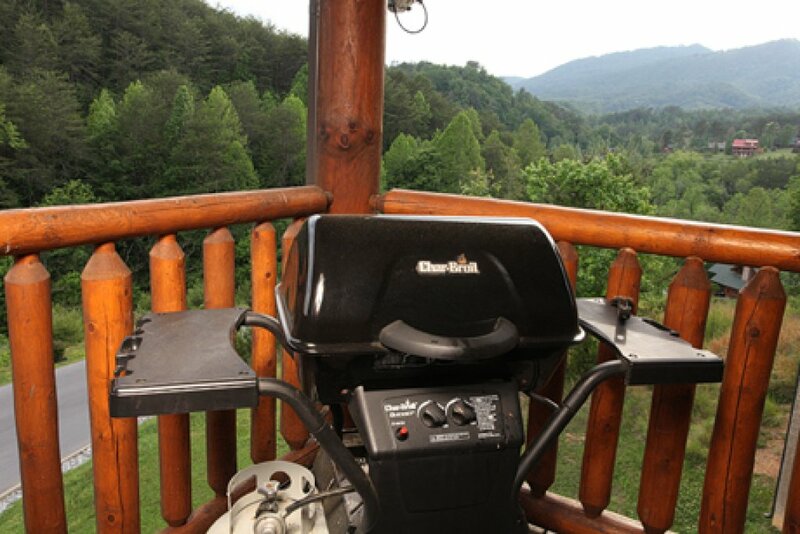 Take advantage of the fully-equipped kitchen and the BBQ grill out on the deck. Save money and your diet by eating in! 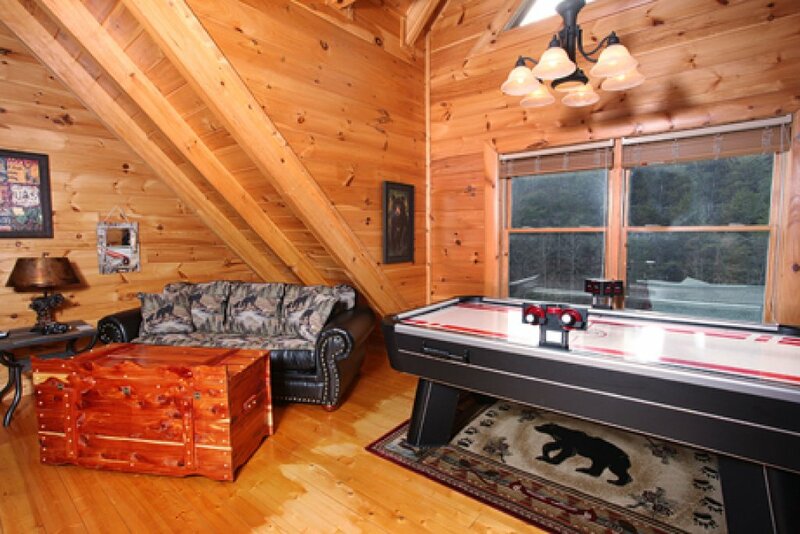 Upstairs, the game room provides amenities for the whole family to enjoy, including: pool table, air hockey, Foosball, board game table, and CD stereo. 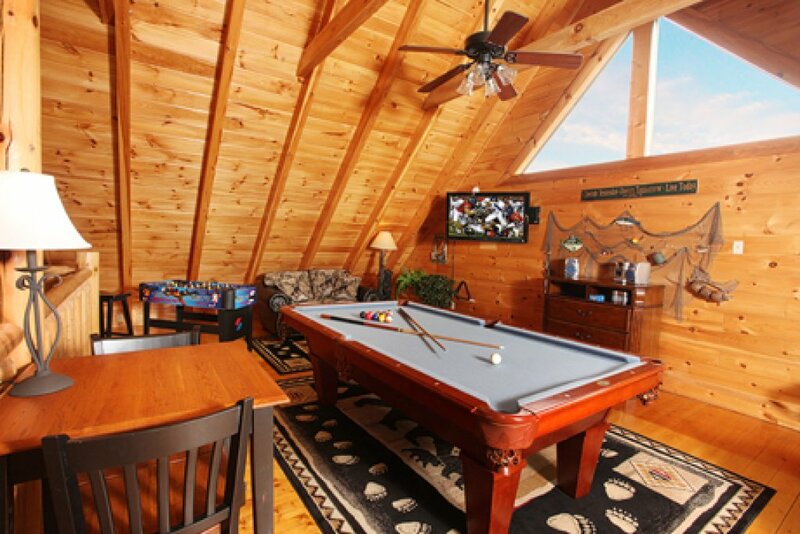 No need to drive to an expensive arcade, you’ve got it all right in your own cabin! 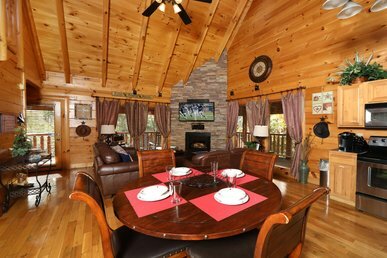 Both bedrooms in this Pigeon Forge cabin feature a satellite TV with DVRs and private bath and the luxurious master suite also includes a private bedside Jacuzzi. The list of first-class amenities doesn’t stop there. 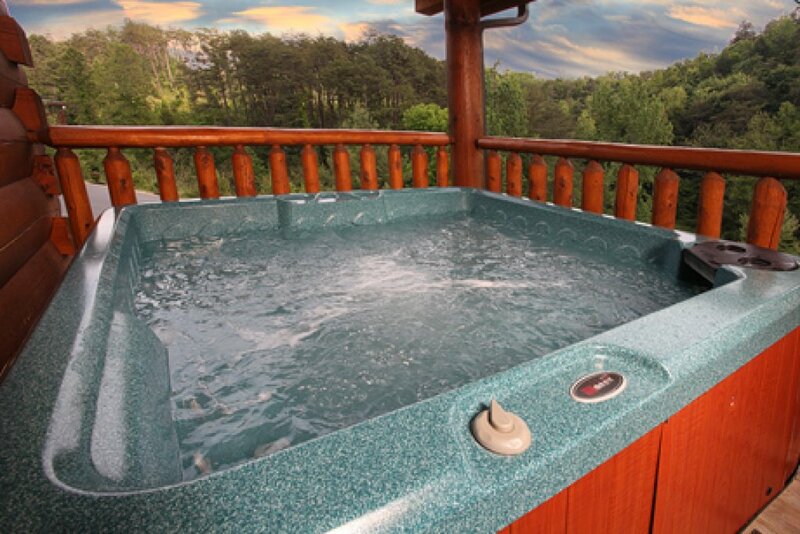 Your private covered deck offers a hot tub and country rockers to help you enjoy the beautiful view, fresh air, and the serenity of the Smoky Mountains! 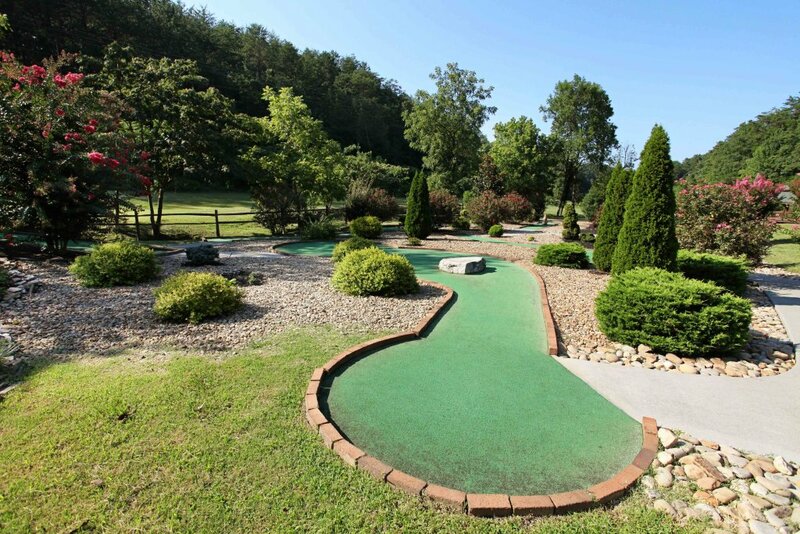 Located in Bear Creek Crossing Resort, a gated vacation resort in Pigeon Forge, “Moose-Behaving” is easy to get to and within walking distance to both an indoor and outdoor pool and a miniature golf course. 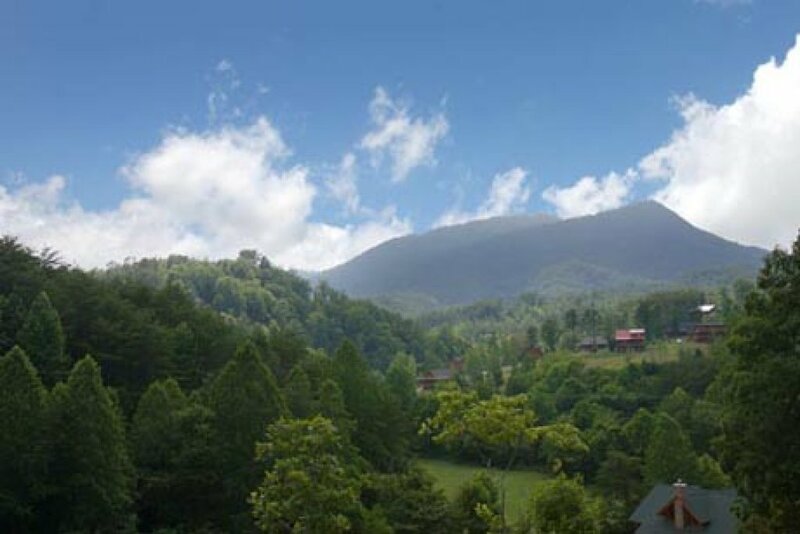 Plus, you are only three miles from the many attractions of Pigeon Forge and Gatlinburg! 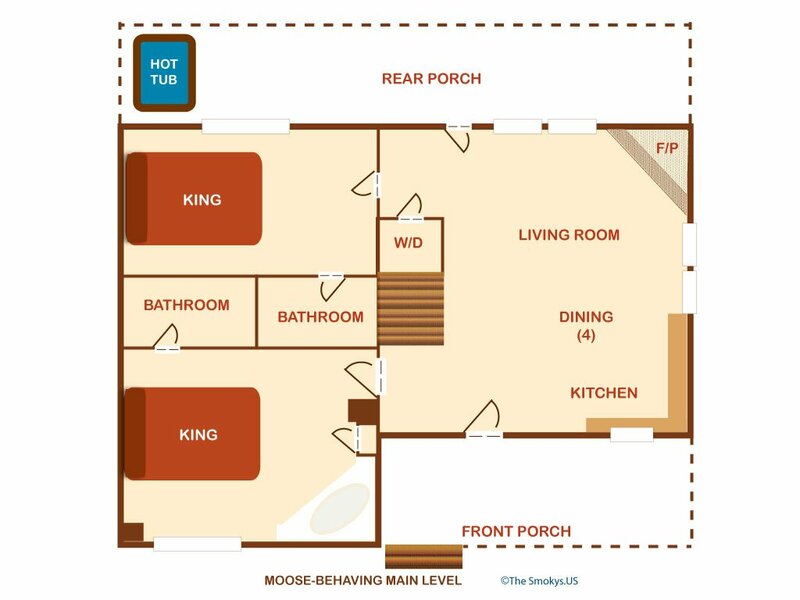 So let the “Moose-Behaving” begin! Just don’t get yourself into too much trouble! 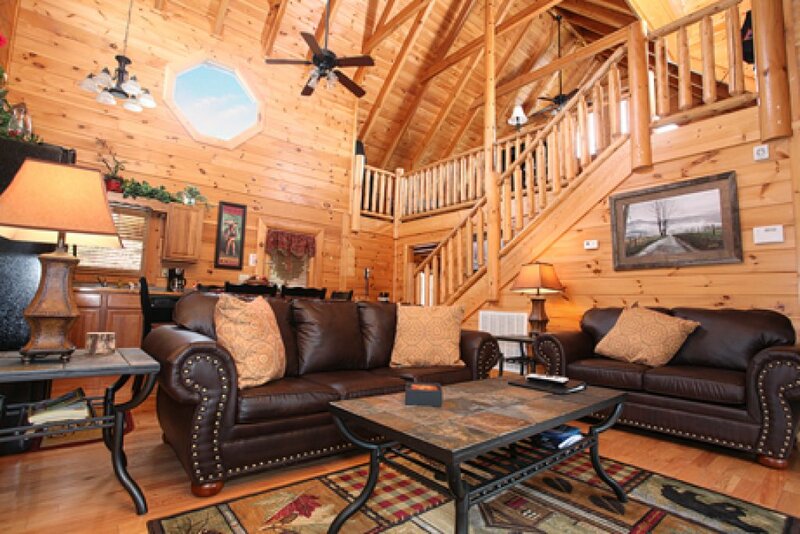 We loooved this cabin. We will definitely stay again. It had everything we were looking for. 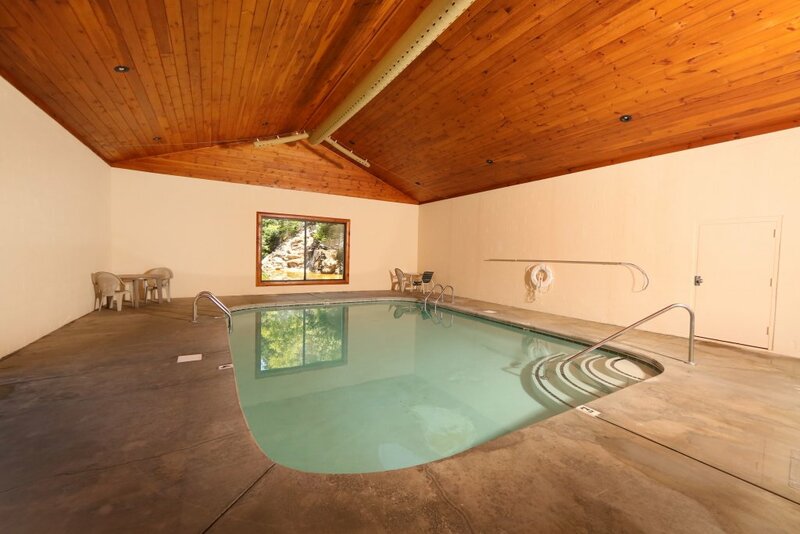 Hot tub, pool table, air hockey, sauna, arcade. Easy check in and everything went smooth. 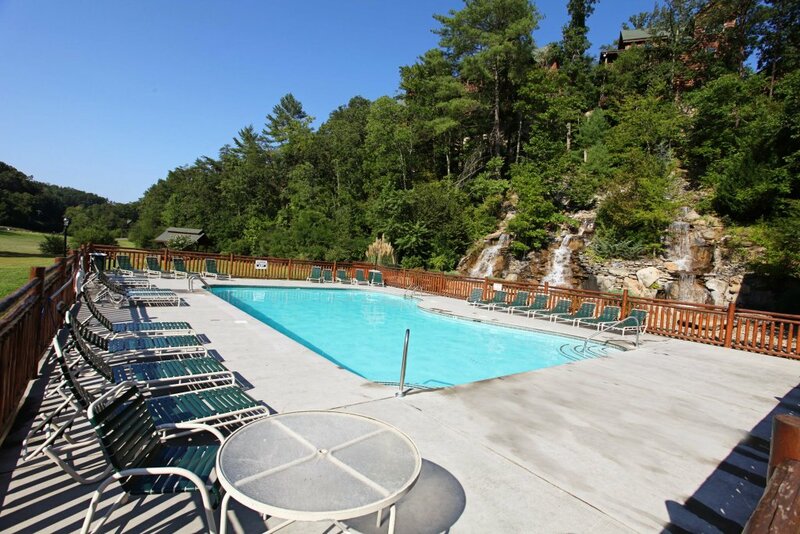 We only had a few complaints considering we spent over $300/night with taxes and fees. The main complaint was the smell. There was an awful sewer smell the whole time we were there. My husband kept saying something about a trap. I’m assuming the sink? We kept forgetting to buy air freshener in town so we just dealt with it during our stay. Next would be the deck was very dark at night. Only a few lights to light It up and since the hot tub light didn’t work It was very dark by the hot tub which my kids were scared. Not a big deal but The air hockey table score board didn’t work. Last, there was a standing puddle from the moment we arrived to the moment we left right outside the steps of the cabin. It rained the first night we were there and we stayed 3 nights. It was obnoxious to have everyone walk around the puddle each time or keeping my kids from playing in It. It made unpacking and packing a little more difficult as well. All these things wouldn’t deter us from staying here again. 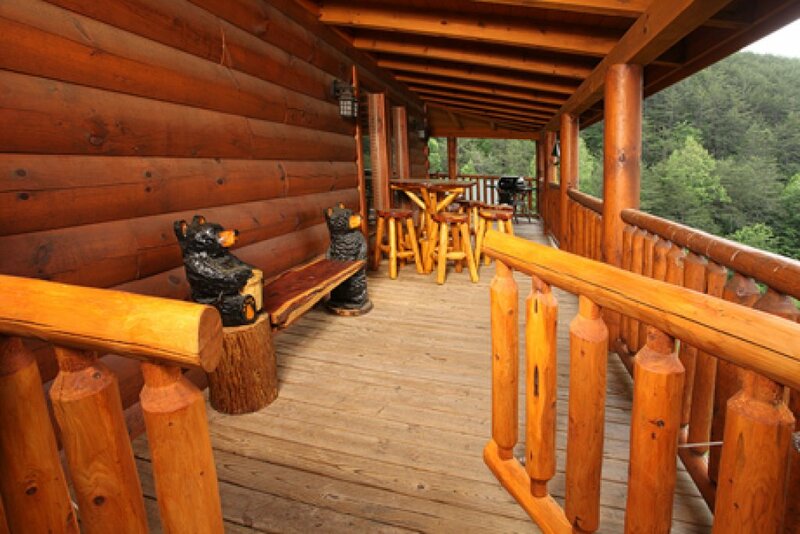 It was exactly what we were looking for and it was a very clean cabin. Thank you! We truly appreciate the time you took to send your observations as constructive feedback it is a gift that we never take for granted. Itâ€™s the only way to grow and improve and thatâ€™s an important focus of ours. Please accept our most sincere apologies if your stay was less than satisfactory due to the concerns you have brought to our attention. Your feedback is greatly appreciated and will certainly use this as an opportunity to better improve our product and ensure all deficiencies highlighted are looked at. It is not our intention to be the source of problems and issues while staying with us but just the opposite. We look forward to seeing you again in future. 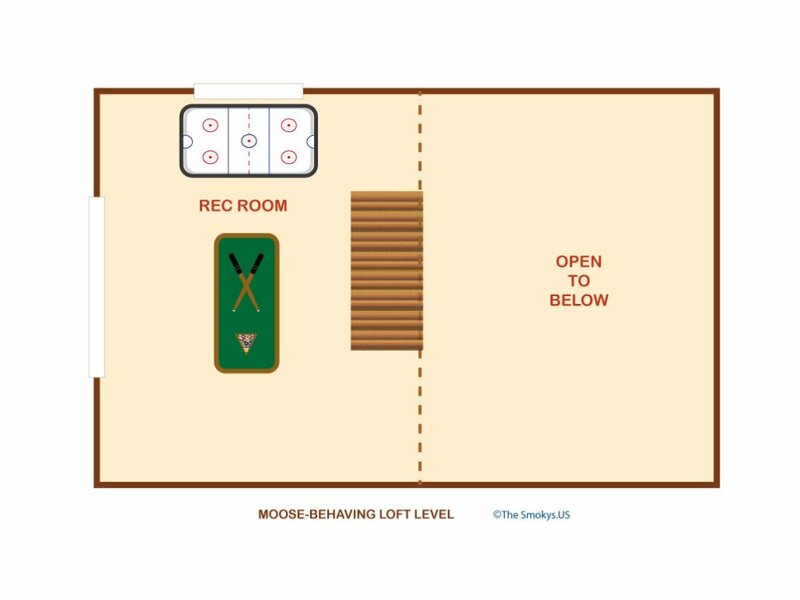 We are very much appreciate your continued support for Eden Crest and the Moose Behaving cabin. 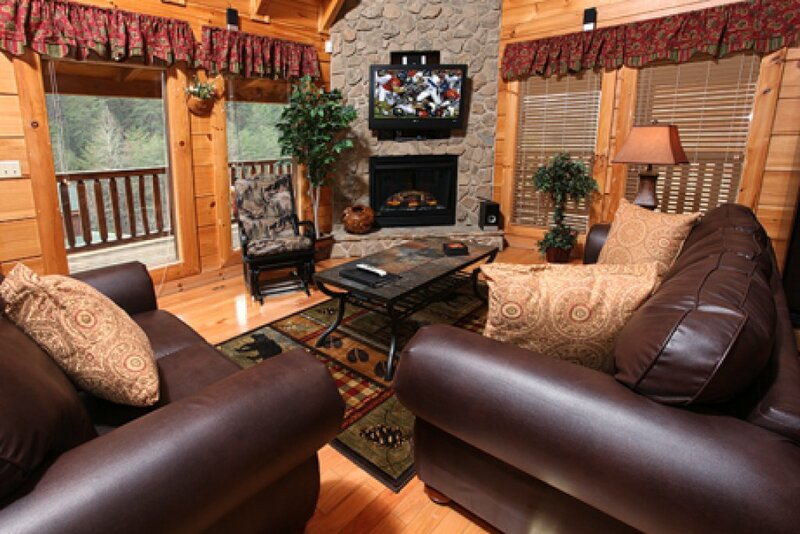 We always want our guests to experience a wonderful vacation each visit. We greatly appreciate you taking the time to share your feedback with us. We will definitely share this feedback with the management team. 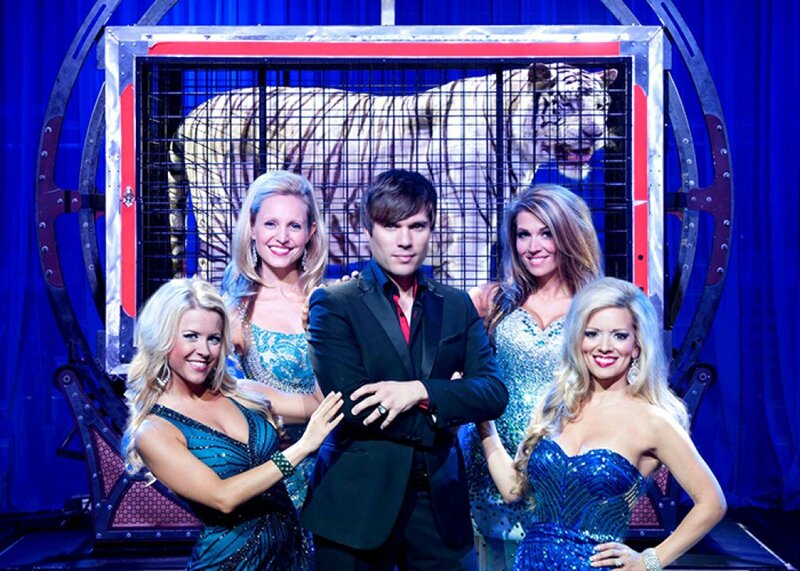 We look forward to seeing you again soon! 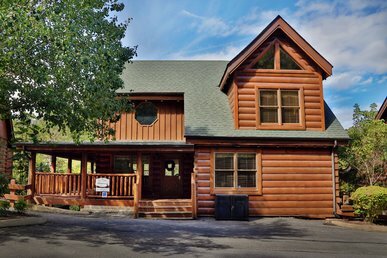 We rented 3 cabins for a wedding. The groomsmen got locked out of their cabin at 9:30pm on Saturday due to a malfunctioning lock. They were told maintenance person was over an hour away and would be sent. After hours of waiting, we called again and got no answer for an hour even though we kept trying every available number. Finally someone answered and put us on hold. We were then told that the maintenance person had broken down and they would dispatch someone else. So, after our follow up, they finally came through and fixed the problem. at 1:30am the groomsmen were able to get back into their cabin and the inconvenience of this incident to our groomsmen and to us was acknowledged with a $50 reimbursement toward the night's stay. This was very disappointing to us.In all other areas, Eden Crest has been impressive. These reviews are extremely important as they help us to learn where we excel, but also where we can improve. Our desire above all is to act with integrity in all that we do. We are terribly sorry about the inconvenience in regards to the door lock issue. We apologize for the delay. We hope that you accept our apology and the accept it in the spirit in which it is given. We will always strive to create a great vacation experience and continue to make improvements when we fall short of that goal. 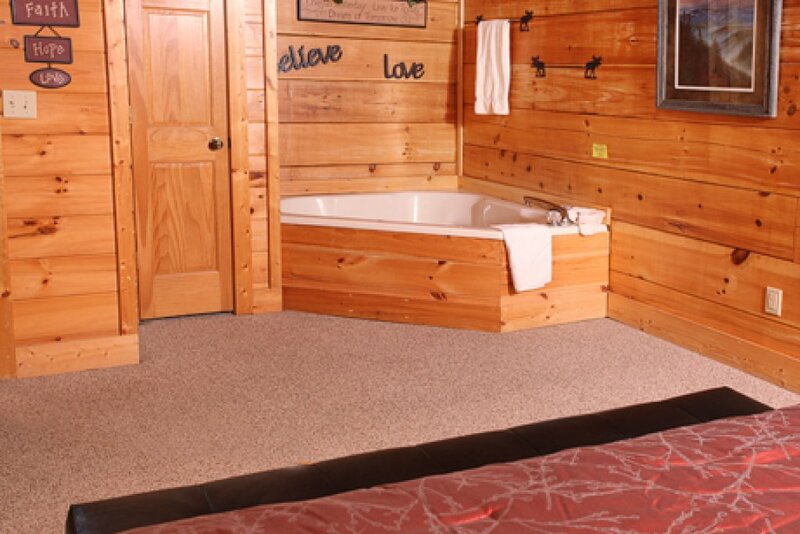 The would like to let you know the owner has replaced the mattresses in this cabin. 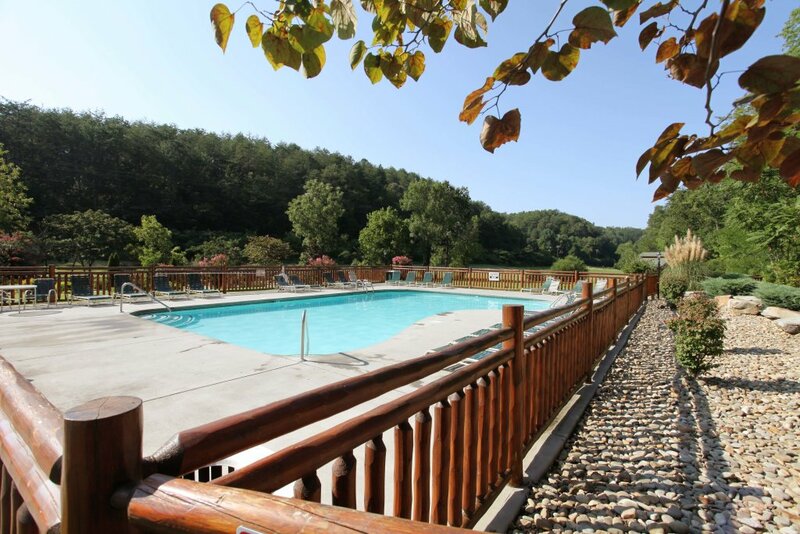 We hope to see you again so that your next stay can truly be one to brag about! Had a great time if it was not for the beds. We were out all day sight seeing and at night we wanted to come back to a relaxing nights sleep. 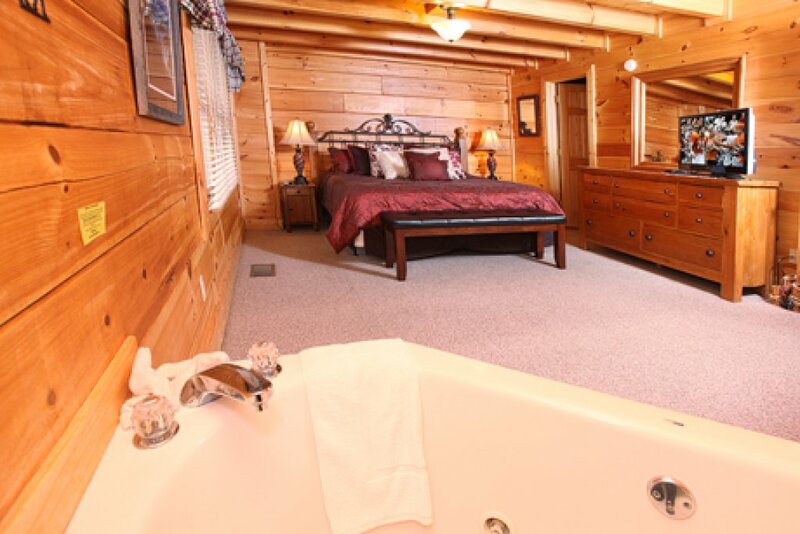 I have stayed in may cabins but these beds were the worse. People have complained about them for a while now.I had seen reviews complaining about the beds from a year ago but I figured they would be replaced by now. 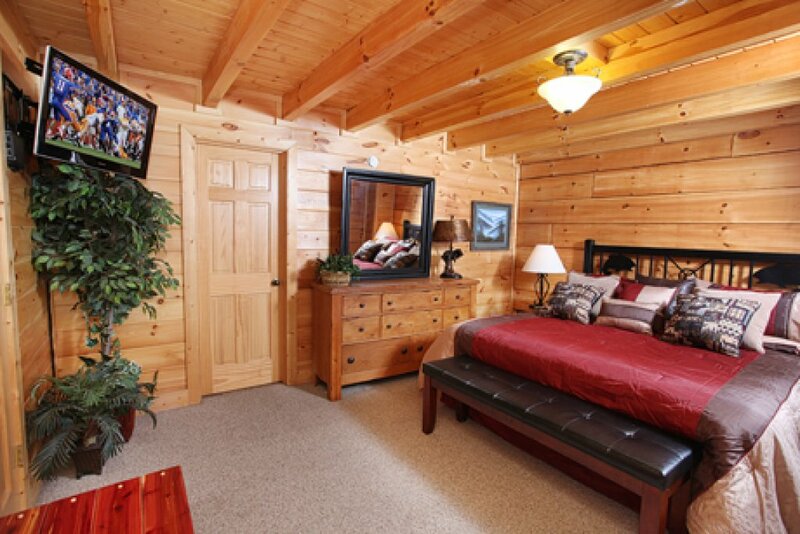 There are to many other cabins for rent with comfortable beds. I will be marking this one off the list. Other than the beds everything else was great. We are very sorry to hear that you had any issues during your stay. 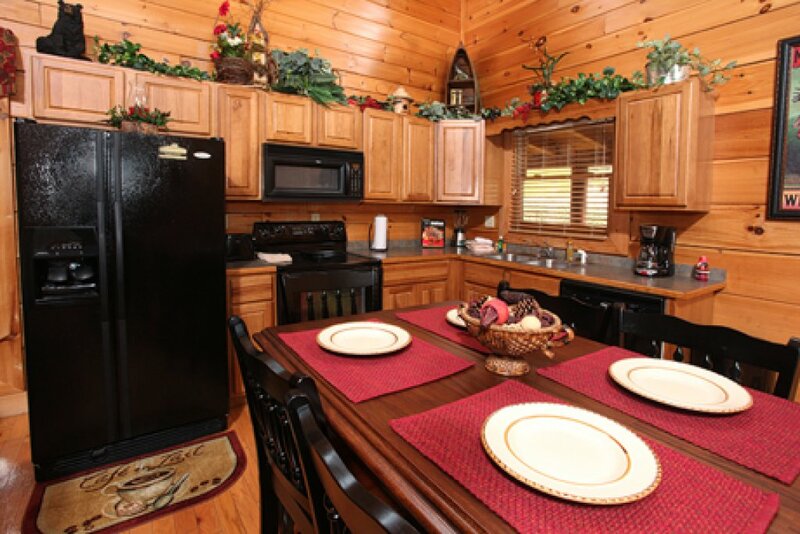 As you may or may not know each of our cabins are privately owned. Each owner personally chooses the dÃ©cor and amenities that they feel will be the most inviting experience for both themselves and guests. We informed the owner on your suggestion to upgrade the mattresses. We are happy to inform you that the owner has replaced the mattresses in the cabin. We apologize for any inconvenience, we work very hard to create a great vacation experience for all our guests. We hope to see you again soon. 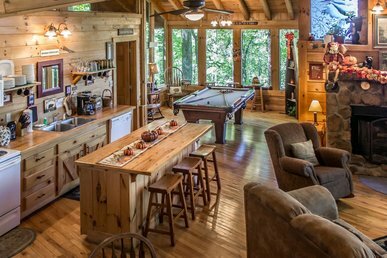 First time we vacationed in the Smokey's mountains will most definitely stay next season ..had a very relaxing time in this cabin, had everything you will need in the kitchen..game room was entertaining. So glad you enjoyed your stay with us. 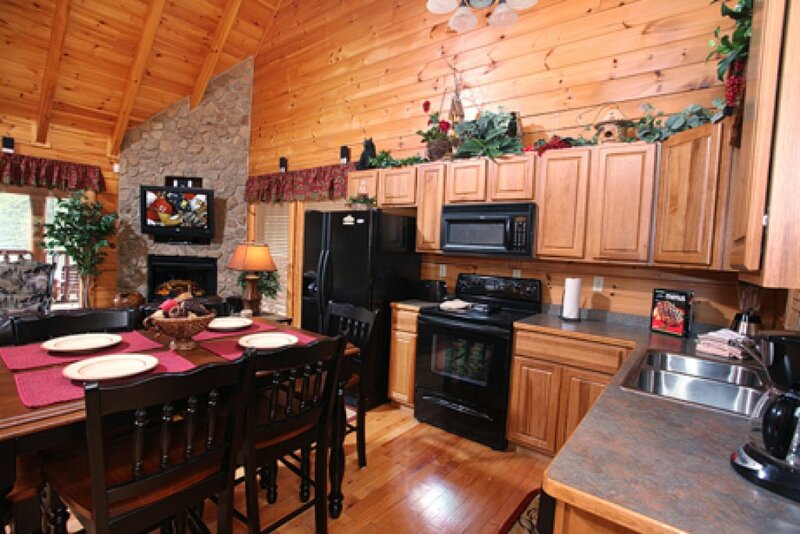 Our desire at Eden Crest is to try and provide all guests with a wonderful vacation experience. 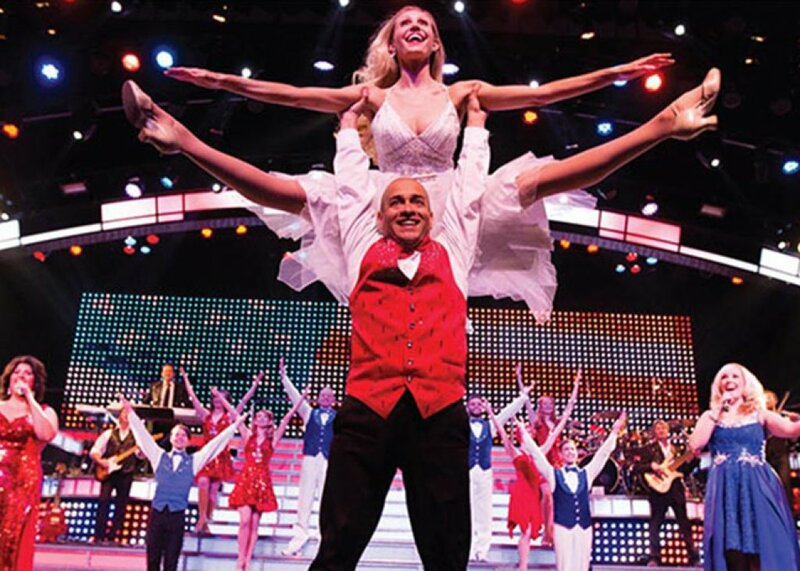 We hope to see you back real soon! Iâ€™m just going to list pros and cons. 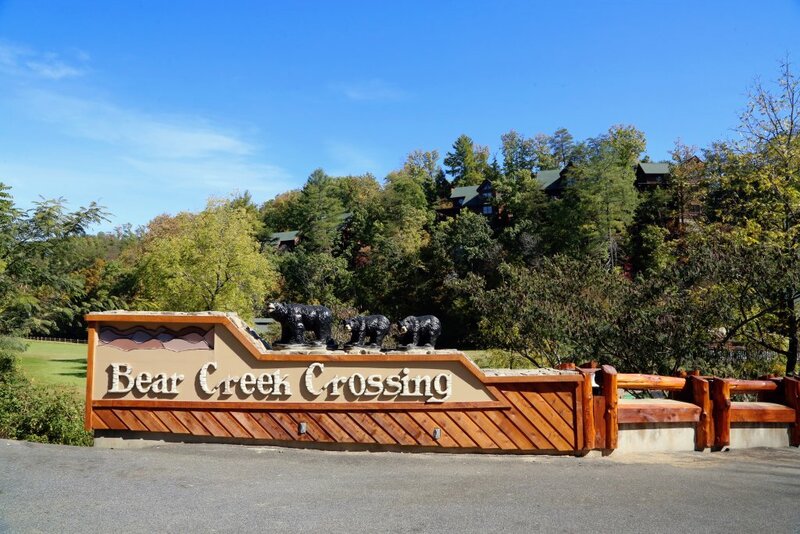 We have stayed in a lot of cabins and were overall satisfied with our stay, but wouldnâ€™t stay in Bear Creek Crossings again due to location. 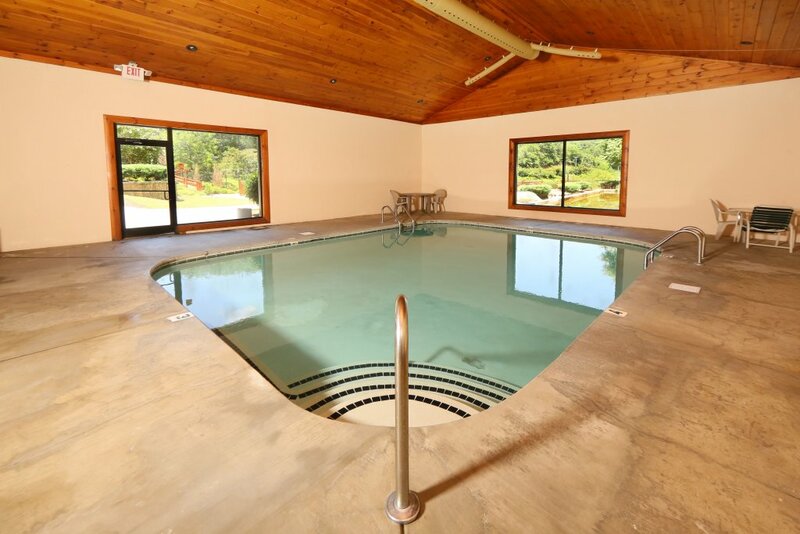 Pros: hot tub, golf supplies in cabin, cabin was very clean, great water pressure, didnâ€™t run out of hot water, jacuzzi, sauna, indoor pool, out door pool, kitchen well stocked with necessities, king beds comfortable, large gated deck, large table on deck, grill, lots of games, and tv with direct tv in every room. Cons: at 4:15p they were still inspecting our cabin on check in day( they would probably charge extra if I checked out late...), we were there 5 days and they didnâ€™t pick up the garbage, no broom in cabin, location from town, hot tub has no privacy walls, pull out couches uncomfortable, wooden stairs( if you have small children they are really slick and there is no gate), and both bathrooms are in the bedrooms. We are sorry that your cabin choice was not to your liking. 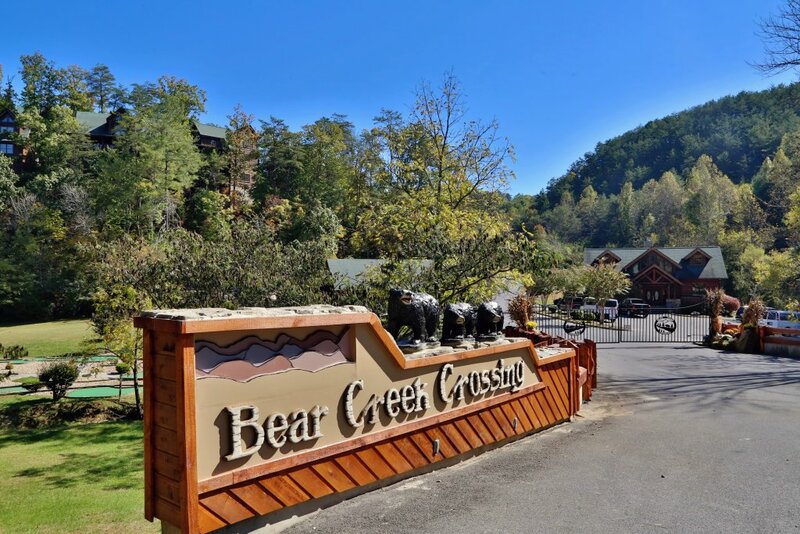 Bear Creek Crossing is very popular resort due to its proximity to the Parkway but we have several cabins available throughout Gatlinburg, Sevierville, and Pigeon Forge. 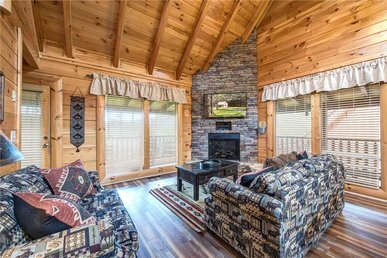 Our Vacation Planners would be happy to help you find a cabin that may better suit you. We would also be happy to send out a courtesy trash pick up had you let us know about the need. Again we are sorry that you did not fully enjoy your cabin choice. 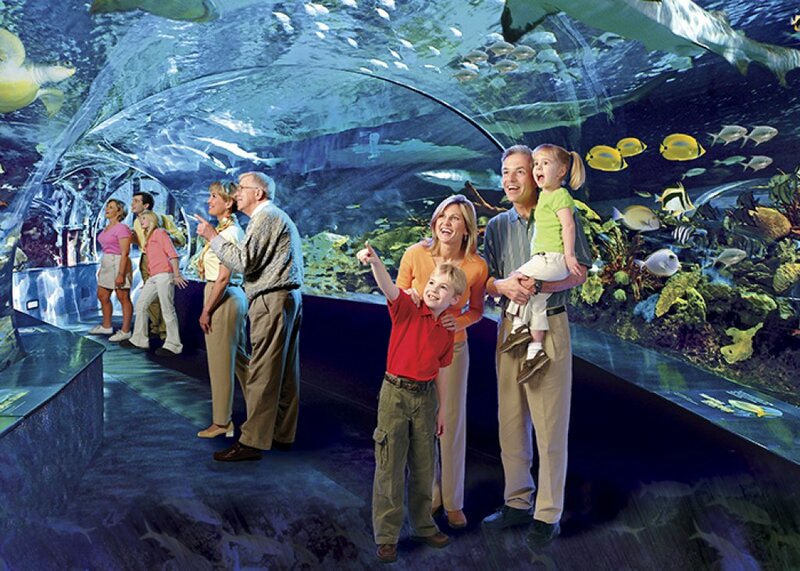 We hope that your next visit is one that you can brag about. Our overall experience was great loved the cabin it was clean and well kept the games all worked which was a big plus the pool was beautiful and clean loved the hot tub a good way for the adults to relax after a day with the kids if I had to complain about anything we did alot of cooking at the cabin and had to buy pans to cook in because the ones at the cabin could not be used but that was the only complaint I guess not alot of people cook at the cabin but we were there a week and really wanted to stay and enjoy the cabin and pool and just be together I know it's not a major complaint but it was an extra expense so overall our vacation was great would recommend to friends and family. So glad you enjoyed your stay! 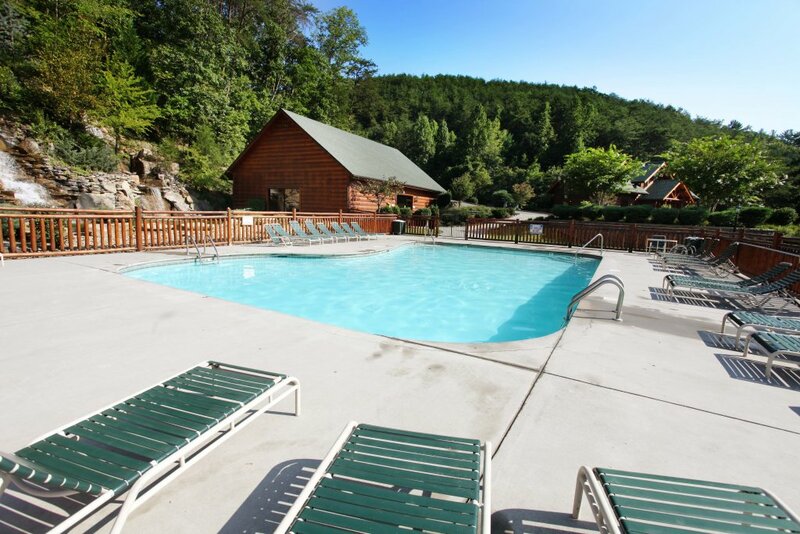 Thank you so much for taking the time to fill out the survey regarding your stay. These surveys are very important to us as they allow us to discover what areas we excel at but also what areas need attention. Your feedback is vital to our future success as we learn so much from our guests that allows us to continue providing excellent customer service. We would of gladly brought you more pots and pans had we been made aware. We apologize for any inconvenience. 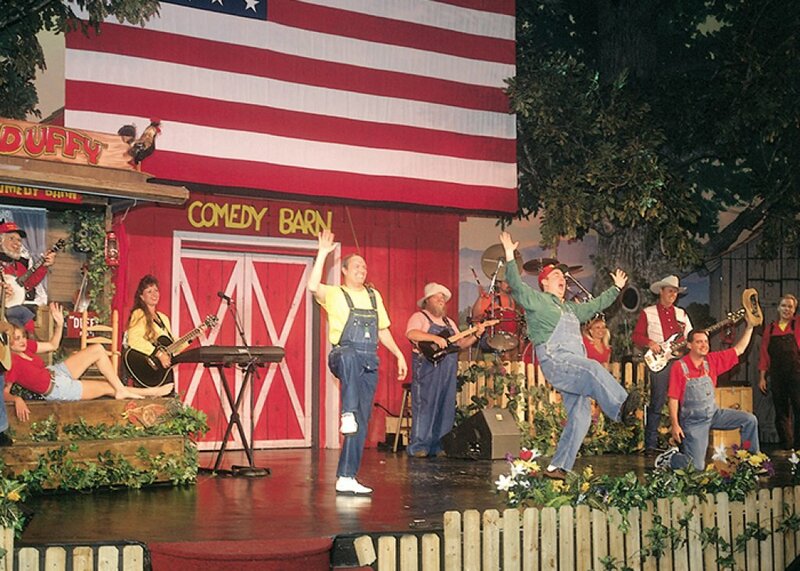 We hope to see you back again soon! Some people only take one vacation a year and they plan extensively for it. 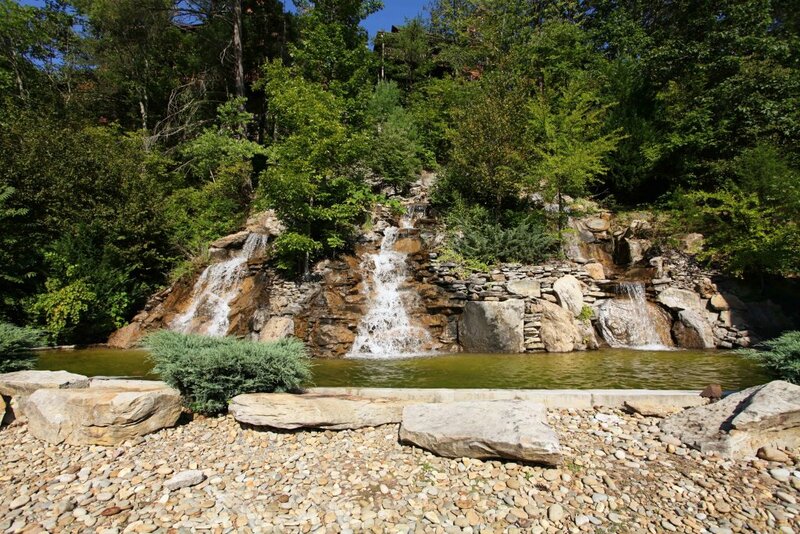 My family was looking for a quiet and relaxing place to spend a few days. 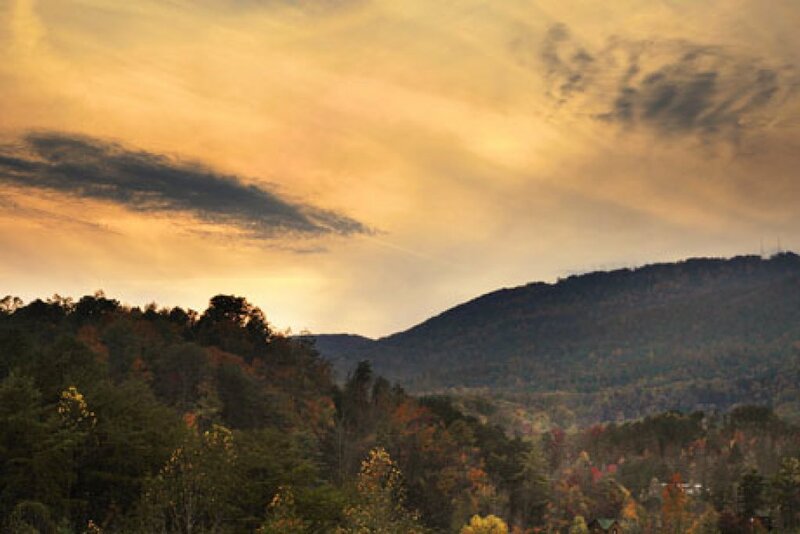 We had never been to Tennessee and decided this would beÂ perfect. 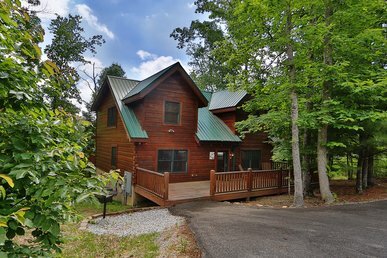 We arrived Saturday and the cabin was ready early. 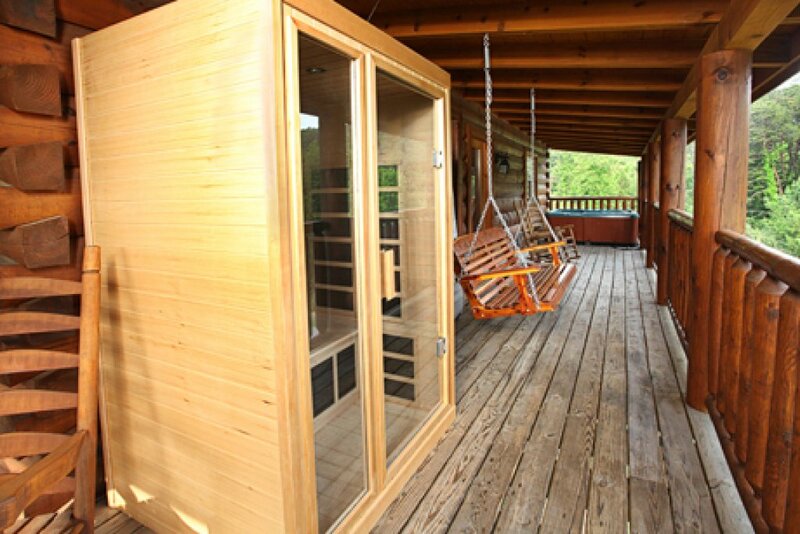 The cabin was beautiful and filled with various amenities. 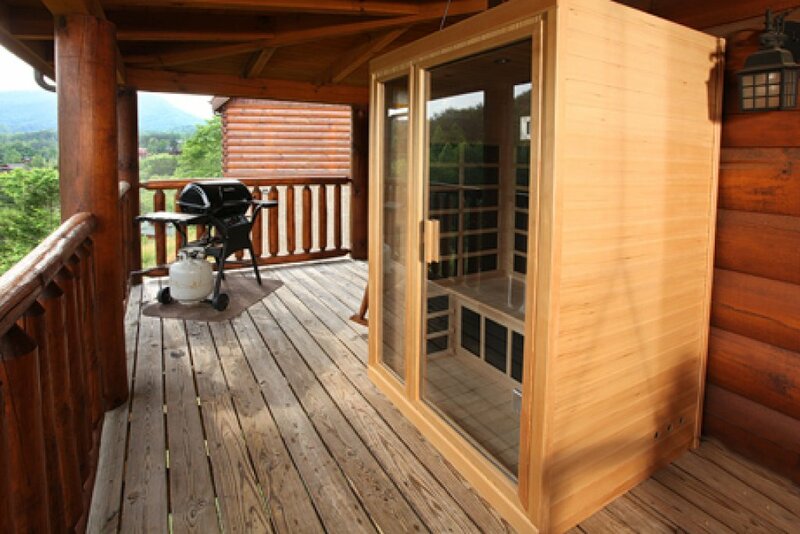 Saturday and Sunday were spent in the hot tub, sauna and on the deck enjoying the peaceful sounds of the Tennessee smokey mountains. That all changed Monday morning at 7:00am. The house behind us was under construction and work began early. For the next three days, we were all woken up by enormous and loud work trucks coming and going all day, nail guns, table saws and screaming construction workers. This lasted until almost 8:00pm. The noise was so bad, we stopped going outside on the deck. We were supposed to leave Thursday morning, but wound up leaving Wednesday, an entire day early just to get away from the noise.Â The last few days were extremely disappointing. I will not be booking another vacation with Eden Crest. I believe it is the management companies responsibility to be honest about a construction site being located 50 yards from your back deck. Had I been given this knowledge, I would have easily chosen another cabin. Instead of being honest, Eden Crest ruined the only vacation my family is taking this year. We are very sorry that the construction noise was so frustrating for you during your vacation. Sadly, the fires created an unprecedented catastrophe for this area. While the loss of life was clearly the most heartbreaking element of the firestorm, the reconstruction has now created some noise nuisances for guests. 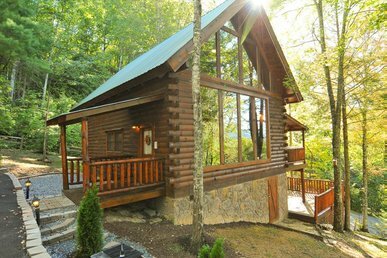 Construction to rebuild cabins throughout all of Gatlinburg and the surrounding areas has been a blessing for many and as you have expressed an irritant for others. 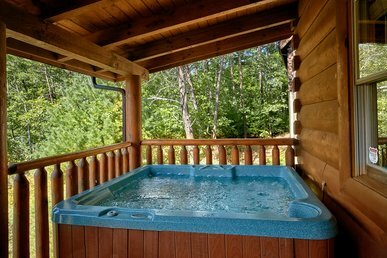 Some owners have moved to entirely new areas and resorts in hope that they may have easier evacuation routes. Fortunately, the construction noise is temporary, so we appreciate any all patience during the building phase. very nice.will return in next vacation .thank you for all of your help.